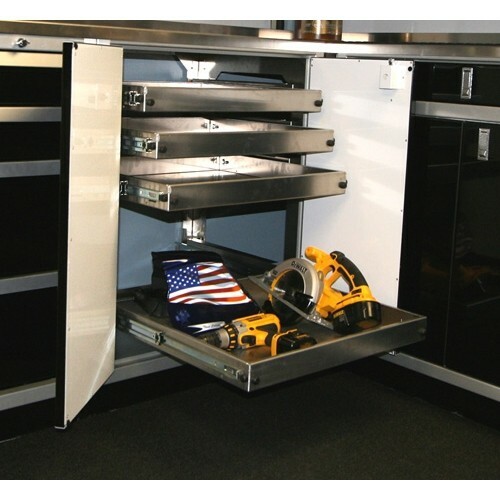 Adjustable Pull-Out Shelves provide easy access for hard to reach items and are great for storing large, bulky items. 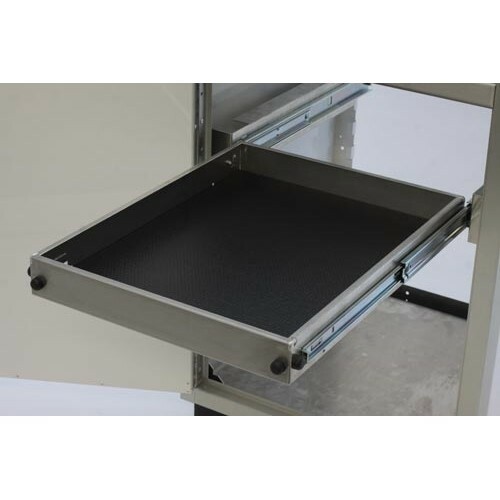 Adjustable Pull-Out Shelves slide out on full extension smooth ball bearing slides. 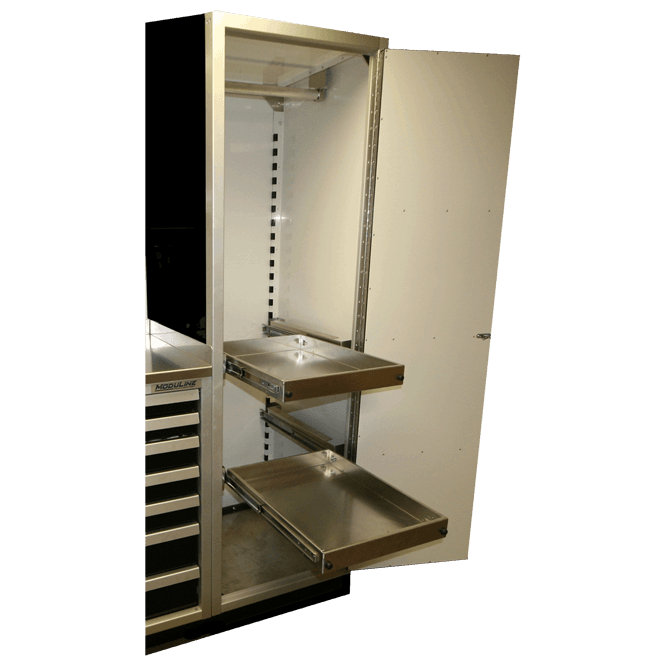 Completely hypoallergenic: Moduline Aluminum Pull-Out Shelves are constructed from materials that minimize the possibility of allergic response. 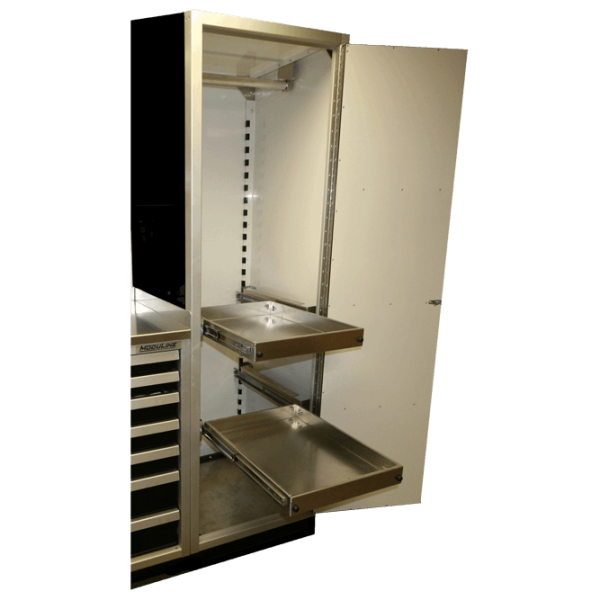 #POS3030 Fits 30” Deep x 30” Wide ProII™ SERIES Moduline Aluminum Cabinets.